Home Real Estate News Has your lender raised its rates? Has your lender raised its rates? 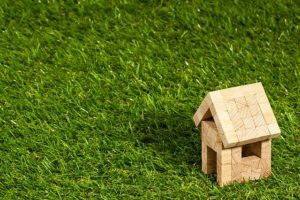 NAB has recently announced it will be increasing its variable mortgage rates, making it the last of the Big Four banks to bring in out-of-cycle rate hikes. The bank will be increasing its investor and owner-occupier rates on its variable Tailored Home Loans, effective as of 31 January 2019. The hikes will see the bank’s standard variable rate for owner-occupiers repaying principal and interest increase by 0.12 percentage points. Owner-occupier interest-only rates and all investor rates will rise by 0.16 percentage points. While these changes will result in higher payments for a lot of NAB customers, the bank still has a lot of products that won’t be affected by the changes, including a special offer of 3.69% per annum for first home buyers who fix their loan for two years. With all of the major banks now having increased their rates regardless of any official rate movements from the RBA, it’s more important than ever that mortgage holders look at what they are paying each month and see if they can find a better deal. It may even be that there is a better product with the same lender. It can be well worth the time to shop around regularly and see what is available and how it compares to what you are already paying. Keep in mind that there may be early termination or discharge fees if you change loans, or application or ongoing fees on a new loan. Check all of these out before making the switch. For any help finding the best home loan deal contact Professionals Finance.